Now the medical industry are taking gaming to the next level by using video games for training, how many simulations can you perform to get a perfect operation, why not practice a limitless amount of time before you get to touch a real patient. Many critics state that its not the same as real life, and no it is not the same its a simulation to teach and correct the medical student as to the correct procedures and protocols which in many ways is similar to the way flight simulators work and yet many millions of people trust pilots who clock up 100's of virtual flying hours and many difficult and often dangerous procedures on virtual fly time. Games now simulate life and several indie developers are looking at medical gaming, maybe you have the talent to be a surgeon or arterial specialist one game in particular comes to mind Developed by indie mavericks Bossa Studios Ltd. 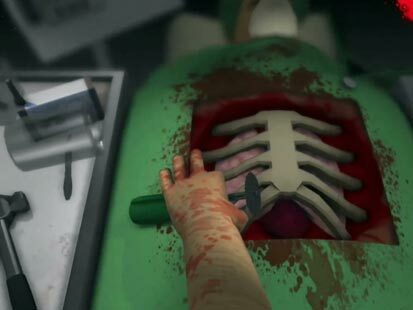 Surgeon Simulator 2013 lets players perform a heart transplant, they are now looking at also developing a brain and dentistry simulator..